We are just loving the return of sanity to the graphics card market, and while we’re not quite back to normal yet, prices are definitely getting better. 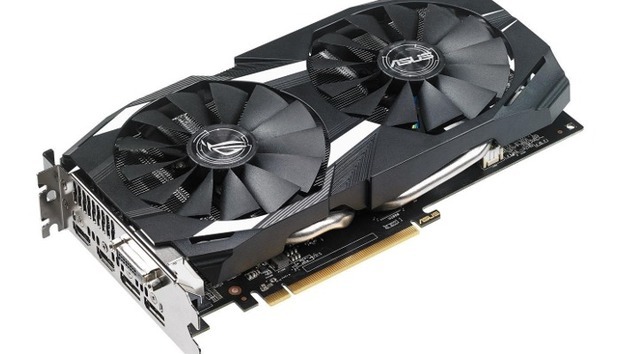 Case in point, Newegg’s got a 4GB Asus Radeon RX 580 for $210 today with promo code EMCSPVER3. When the Radeon RX 580 first appeared last year, it was a $200 graphics card. But cryptocurrency miners wildly inflated the GPU market in 2018. While Newegg’s price is still higher than its MSRP, getting it at $210 is a fantastic deal considering this version of the Radeon RX 580 was sitting at $280 just a few days ago. This card is a great option for budget gamers looking for fantastic 1080p gaming with respectable performance at 1440p, and entry-level VR and 4K. The version on sale today at Newegg is an overclocked edition with a 1360MHz base clock speed that boosts to 1380MHz, which is higher than the standard RX 580 speeds of 1257MHz and 1340MHz on boost. For ports it’s got one DVI-D, two HDMI 2.0b, and one DisplayPort 1.4. It’s not clear when Newegg’s deal ends, but if you’re too late, both Newegg (sans code) and Amazon are selling the card for $240. That’s still $40 cheaper than most 4GB Radeon RX 580 options you’ll find out there.